An outdoor temporary installation located in old town Scottsdale. 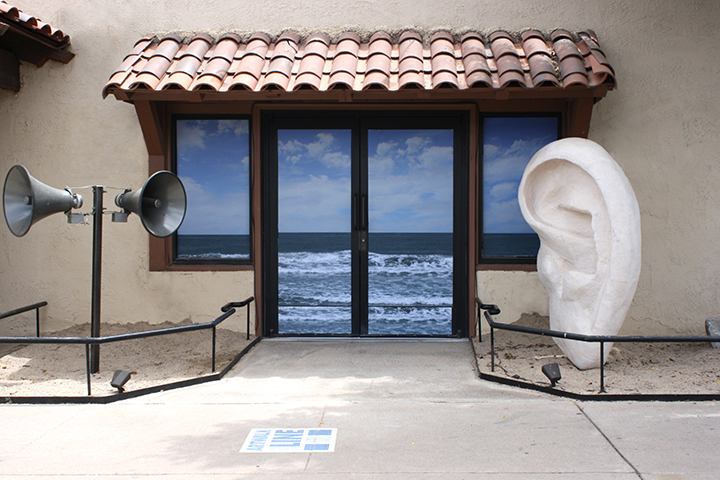 Listen included a sound element of the ocean emanating from a set of large, industrial horns. 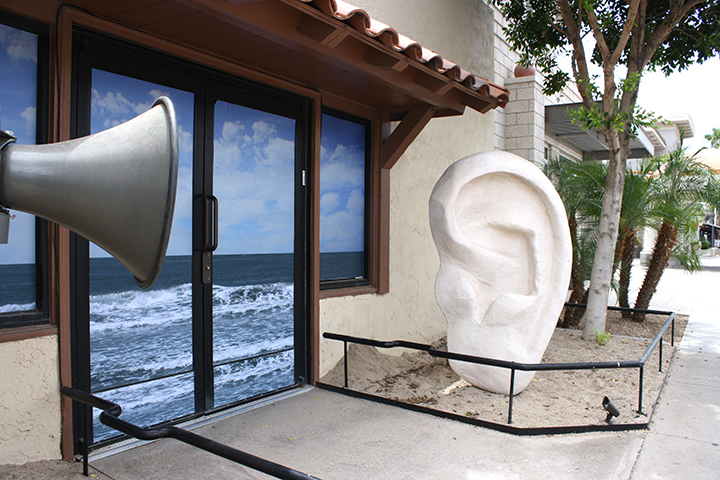 The ear was constructed of fiberglass and resin. 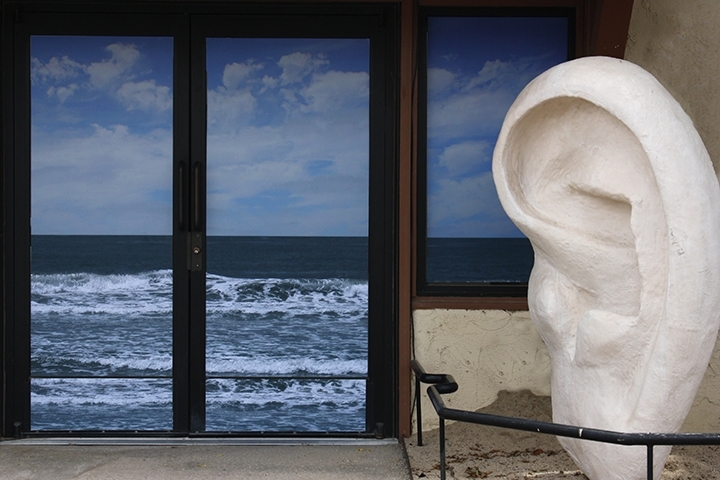 Vinyl images covered the store front window and 2000 pounds of sand was brought in to complete the effect of a seashore setting in the middle the desert.